The present perfect tense is the past participle tense used with the present tense of an auxiliary verb to have. 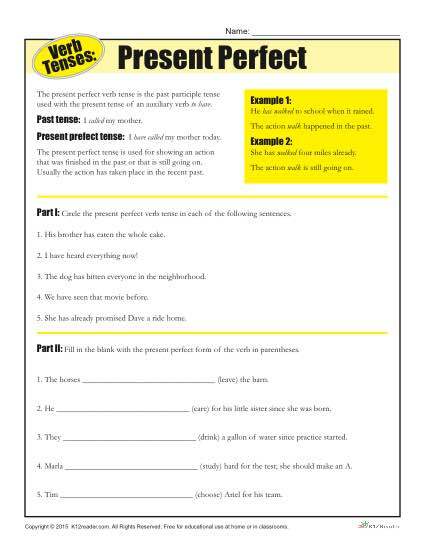 In part 1 of this worksheet, students circle the present perfect verb tense in sentences. In part 2, they fill in the blank with the present perfect form of the verb in parentheses. This activity is ideal for 5th grade students but can be used for any grades where appropriate.